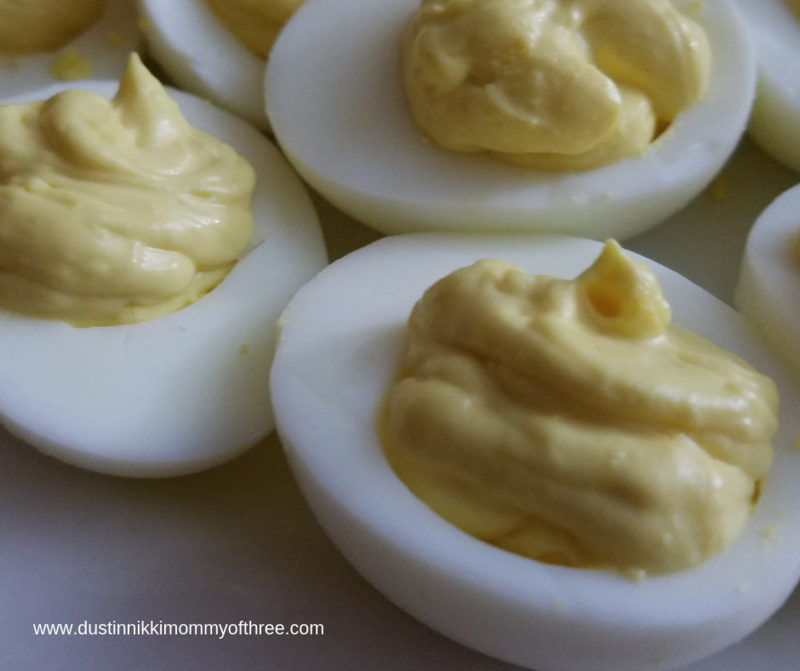 Deviled Eggs are so simple and easy to make for just about anything. 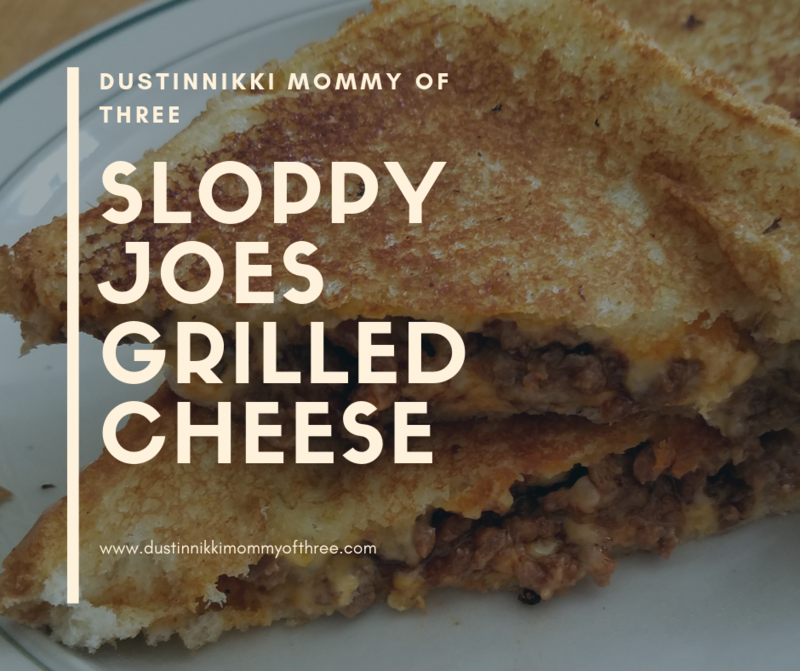 They are an easy appetizer or snacketizer depending on how you look at it. 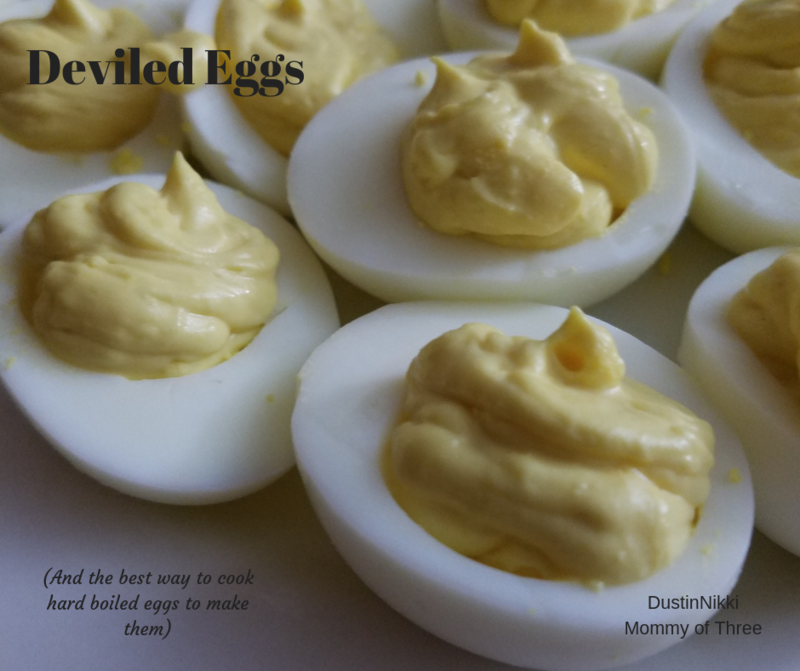 Any time we have a big dinner or family get-together whether it’s the holidays or a summer backyard party, I usually make some deviled eggs. They are there along with some other finger foods I make up so everyone can just help themselves while waiting for everyone to get there or waiting on something to finish cooking. 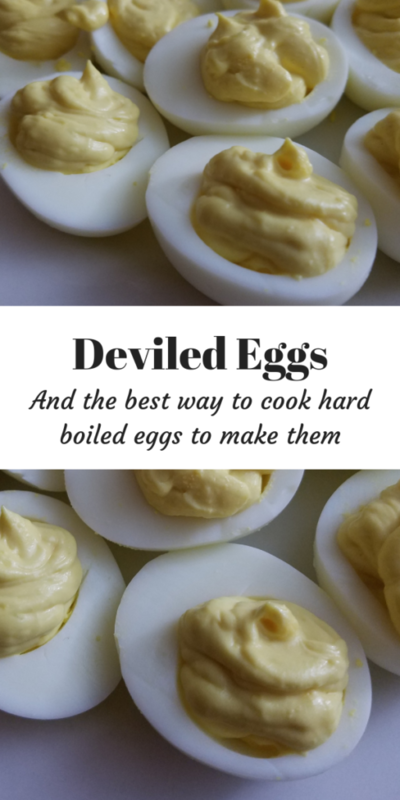 There are many different ways and methods for cooking hard boiled eggs. The best way that I have found for cooking them for Deviled Eggs is to place your eggs in a pot with about a half inch of water above them. It’s not recommended to cook more than 12 eggs at a time. I like to make sure that my pot is big enough so that there aren’t any eggs resting on top of other eggs. I noticed this is the best way for more even cooking. I don’t wait for my water to boil before adding my eggs. 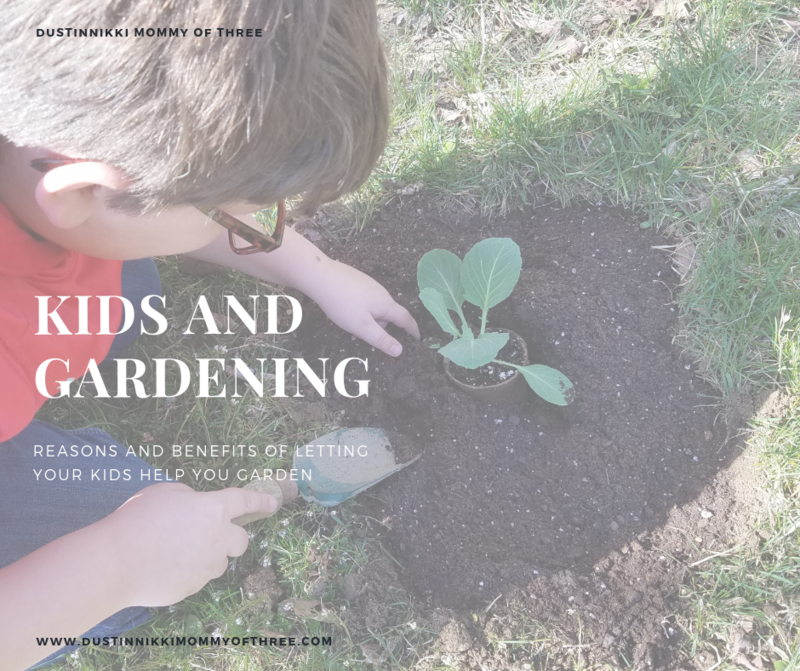 I start them in the pot right at the beginning. This way they slowly cook as the water heats up. Once the water boils, I remove the pot from the heat and leave them sit in the water for 8-10 minutes. I usually remove them from the pot after 8 minutes, I never leave them in there for more than 10. I have a bowl of ice water ready to go and place all my eggs directly into the bowl of ice water. Then I shell them in the water. I found that this is the easiest way to remove the shells without tearing up my eggs too much. Every once in a while there is at least one that doesn’t want to cooperate but for the most part, the shells come off really easy while cracking and pealing in the water. I don’t wait to peal them either. I do that as soon as possible. Once you have your eggs pealed, you can slice them in half lengthwise. 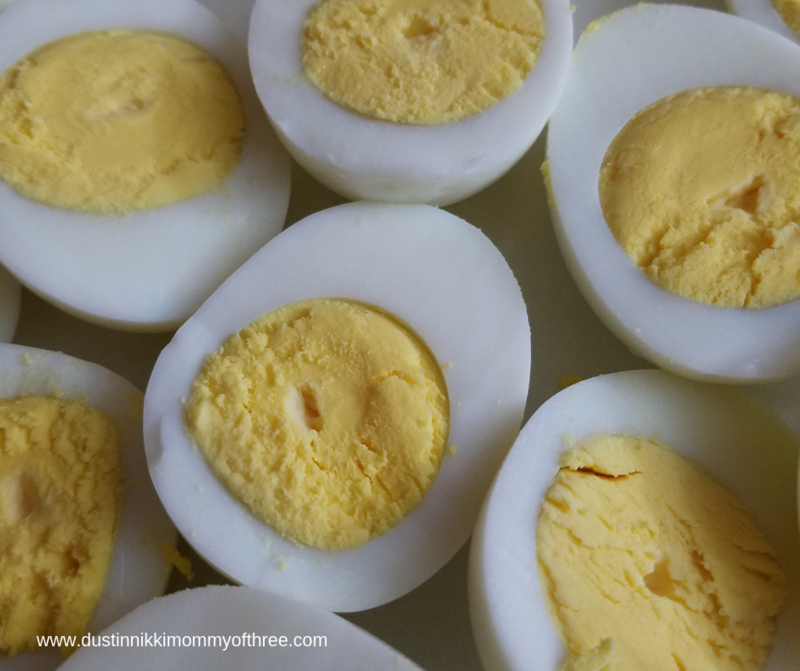 By cooking the hard boiled eggs with the method I use, the yolks are set but they are still really soft and somewhat creamy. 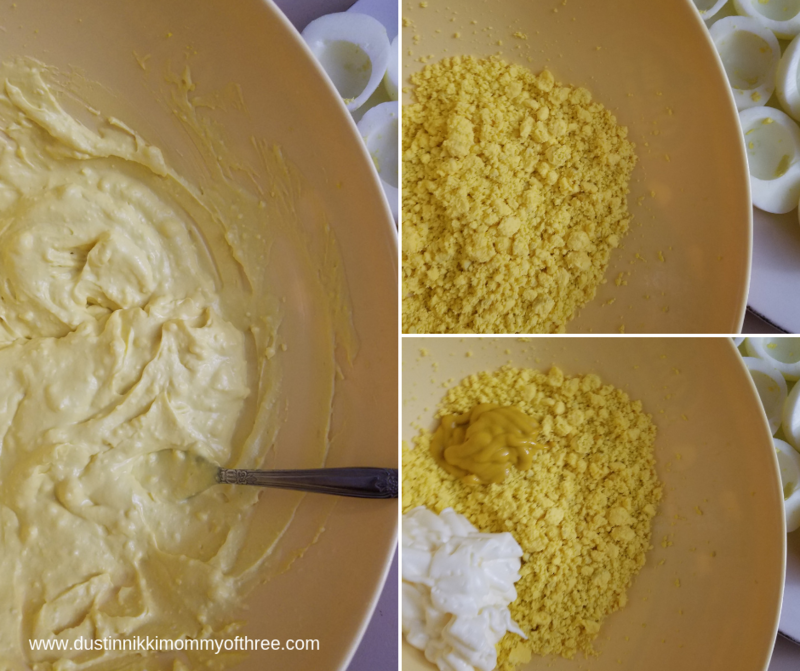 This makes it easier to make the mixture for the deviled eggs. 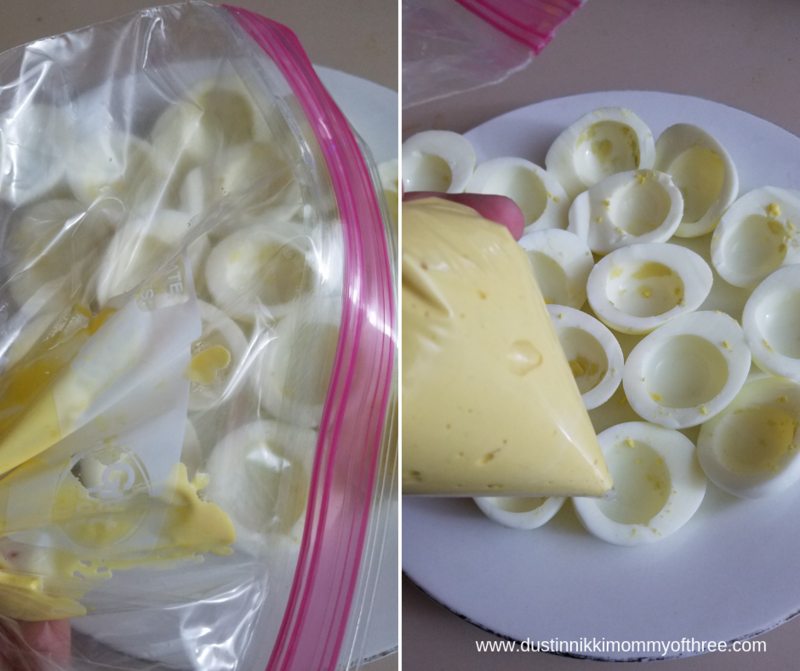 To start, remove all the yolks from the pits of all the egg half and put them in a bowl. You will want to use a fork and mash and chop the yolks as fine as you can. The finer it is, the smoother your mixture will be. You can also just use a hand mixer too. 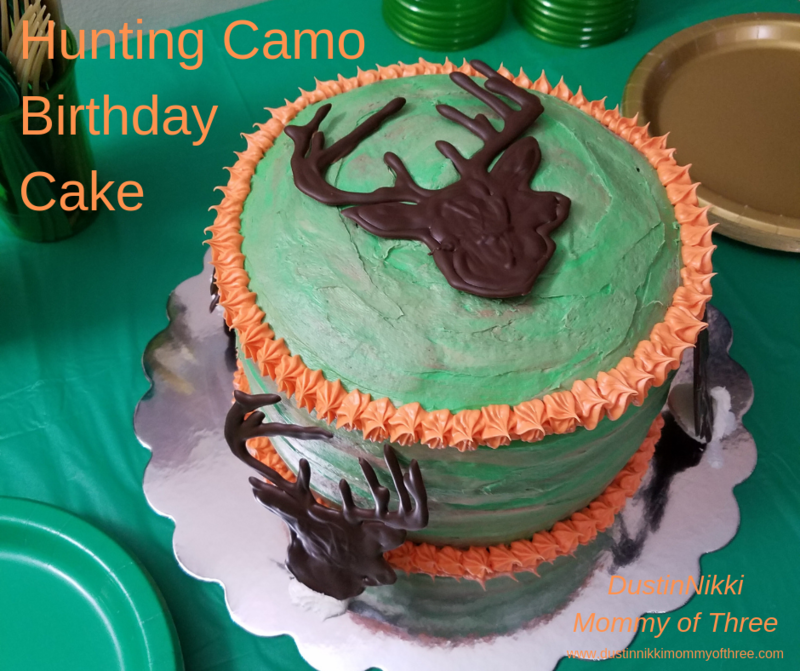 I would have the last time I made them but my hand mixer is broken. Then you add a little mayo and a little mustard. I use much less mustard than mayo. Sometimes I also add a little pepper. Then mix it all up. Mix it as well as possible. I don’t have exact measurements for the mayo or mustard because this is where your own preferences are. You will want to taste it to make sure the taste is right for you. Some like a milder mustard taste while others may like a stronger mustard taste. You should definitely add these two ingredients just a little bit of a time though. You don’t want to have to add tons and tons making your mixture too runny. You can definitely rinse your egg whites if you prefer so that there aren’t any specks of yolks on them. You can either spoon your mixture into the empty pits. What I like to do is to put it all in a baggie and push it all down into the corner. Then I cut the tip and squeeze the mixture into the eggs. Every once in a while a little clump might get caught in the hole of the baggie so be warned. Just gently try to wiggle it free. This is optional. I sometimes garnish with paprika but other times I don’t. It depends what I am making them for. I have a member of my family that can’t eat paprika so a lot of times I leave it off. Enjoy!